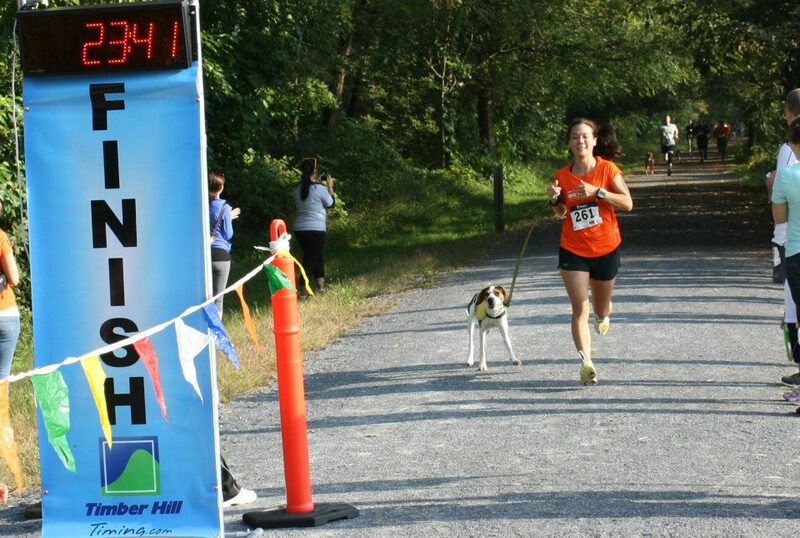 On September 22, 2012, Better Days Animal League hosted its 2nd Annual Pet Friendly Peace-4-Paws 5K Run/Walk and 1 Mile Kid’s Fun Run to benefit the homeless animals under their care in their two shelters. 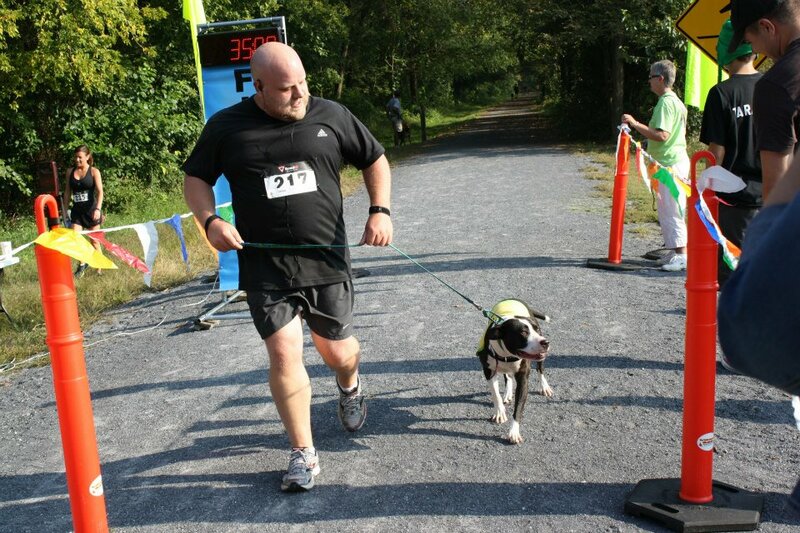 Several adoptable dogs ran in the race, after getting suited up in ‘Adopt Me’ vests of course. As expected, the dogs were ready to run when the race started but everyone behaved themselves quite well in the pack of people and dogs. 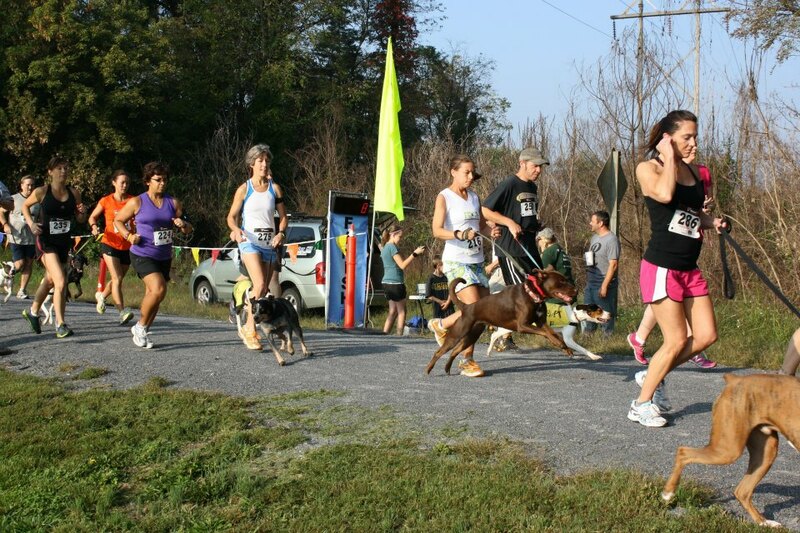 As expected, the distance hounds were front runners with Athena coming in first, also capturing the first female runner and first female with a dog awards. She was followed closely by her sister, Xena. 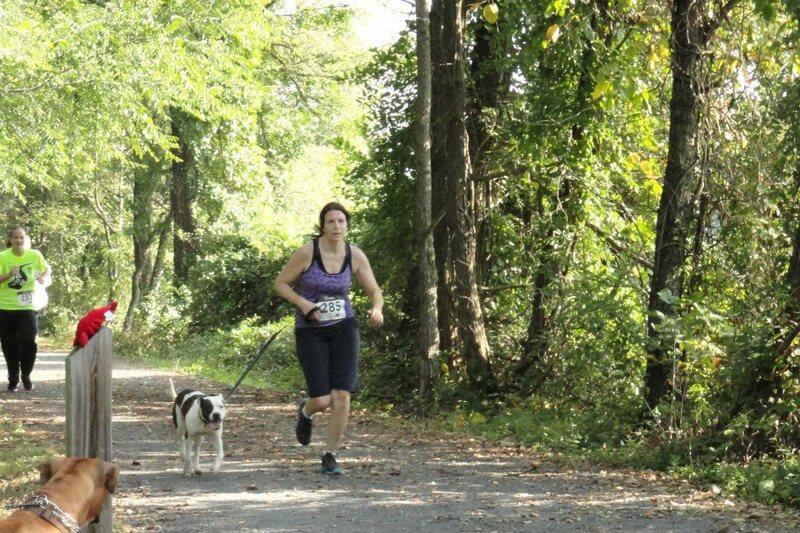 Remmy and Trinket ran in the 5K as well and seemed to enjoy the day out on the trail. 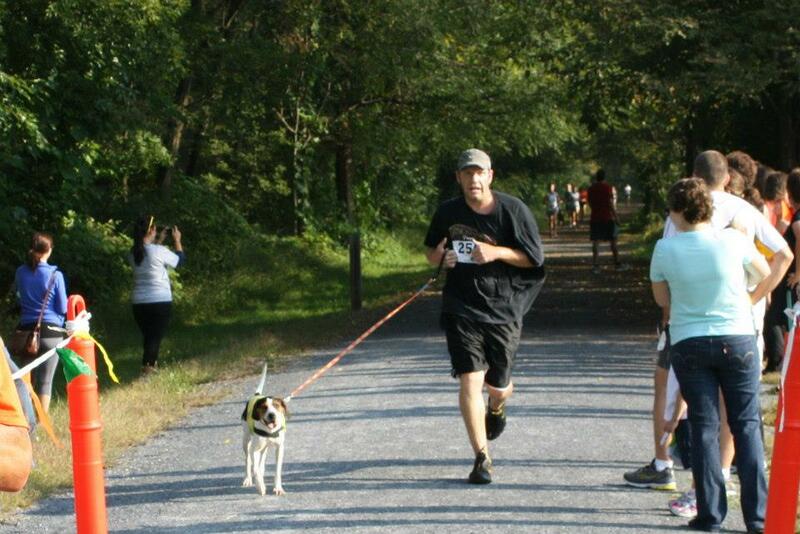 All in all a great day for the animal and the runners and walkers out to support the animals. 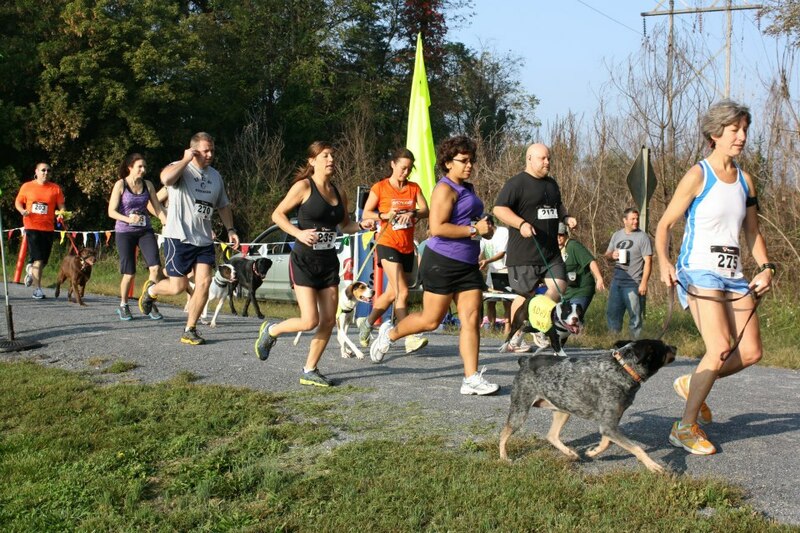 Word for Miles and Mutts reached a new audience and we anticipate more dogs in the running pack soon when others decide to join us to run with a shelter dog. 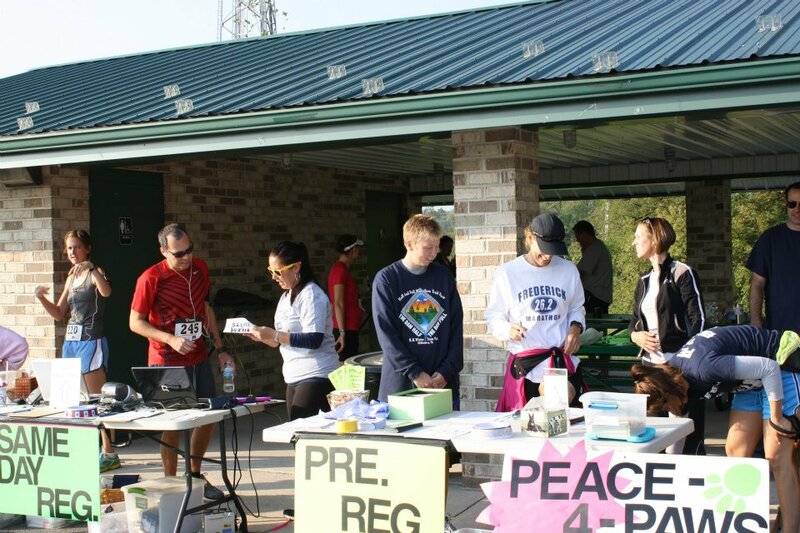 Next year’s Peace-4-Paws event should be even better!